Few things inspire more fear in investors than stock market downturns, and many investors worry about investing during a downturn. For long-term investors, a market downturn is nothing to be overly concerned about. Recently the gross domestic product of the U.S. economy was reported to have grown by 3.5 percent. While this is certainly healthy growth, the stock market has since been volatile and dropping. If the drop continues, it may turn into the very first market downturn that investors of the millennial generation have ever experienced. However, it is important for investors to take a deep breath and to recognize that stock market downturns, market corrections, and upswings all occur over time as the economy, interest rates, and political events change and occur. Investing during a downturn may simply require an adjustment of strategies, and people should avoid panicking. What is a stock market downturn? What is a market downturn? The stock market downturn definition refers to a period of time during which the stock market continues to decline. Market downturns may lead to recessions and bearish markets, but stock market downturns do not necessarily lead to market crashes and depressions. A stock market downturn may last for a few weeks, a few months, or a couple of years. Historically, market downturns that turn into bearish markets have lasted for an average of two years. The key is to remember is that like the economy, the stock market tends to rebound as time passes. How do market downturns work? Market downturns happen when traders react to a number of factors such as rising interest rates, political events, wars, and other occurrences in a negative manner. This can cause the stock market to decline. When the stock market declines rapidly or over a period of a few weeks, investors often start to panic. When investors panic, they may begin selling their stocks, leading the market to spiral even further. When too many investors are trying to sell their stocks at the same time, investment companies may then react by issuing margin calls. This can lead the investors to have to sell their stocks at the lower current prices. The cycle that can occur during a stock market downturn can lead panicked investors to go bust. What is a stock market dip? A stock market dip is a drop in prices that is considered to be temporary. A dip can be a drop in prices across a market, in one sector, or in a single commodity or stock. Stock market dips can result from several different factors. A dip might occur in response to a negative comment by a respected analyst. It might also be caused by fundamental analysis or a rumor. Finally, a dip can occur in response to other outside influences or political events. A brief comparison of market downturns, market dips, and market corrections might help you to understand each of these events and how they differ from each other. A dip is generally considered to be a temporary downturn in prices. In most cases, the market, stock, sector, or commodity will quickly rebound after a dip. A correction is defined as a decline of 10 percent in the price of a stock, commodity, sector, index, or market from the most recent peak. It may last for a longer period of time but is generally temporary in nature. A downturn is thought to be a sustained decline in prices and can also be called a bearish market. It can last for a year or more. The definition of a stock market correction is a negative movement of prices of 10 percent in a major index such as the Dow Jones Industrial Average. Often, market corrections are followed by a bullish period in which the market experiences gains. People who understand the stock market corrections may recognize that market corrections often present a good buying opportunity for investors. Investors may want to research the fundamentals of different stocks in which they are interested and purchase shares of those that they believe are undervalued during market corrections. What is a stock market correction, and why do they happen? What is a stock market correction? A stock market correction is a term that is used to describe when a security declines by 10 percent or more from its most recent market peak. Stock market corrections can occur with single stocks, commodities, indexes, or other assets that are traded. Markets and indexes may experience stock market corrections for single days, weeks, or for much longer periods that last for a month or more. A stock market correction may happen for several reasons. When the economy hits natural peaks and troughs, the stock market may respond in turn with a correction. Stock market corrections of individual stocks may also happen when the stock has been overvalued. In that case, the correction will occur to reflect the true value of the stock. Finally, stock market corrections may occur when an economic bubble bursts. What can you do about stock market corrections? Unless you are a short-term trader, you shouldn’t be overly concerned about stock market corrections. They are unpredictable and happen at least once per year. If you are focused on the long-term goal of building retirement savings, the best thing that you can do is simply to ignore corrections. A correction is not the same thing as a market crash. When comparing a correction vs. a crash, there are a couple of important things to note. A correction vs crash is generally defined as a 10 percent drop in the price of a security. By contrast, a stock market crash refers to when there is a sudden and sharp decline in stock prices that often happens in a single day or a week. A bear market is a term that is used to refer to a long period of time during which there is a sustained stock market downturn. Generally, a bear market refers to when the stock market when the losses exceed 20 percent from the most recent stock market high. When the stock market drops by 10 percent, it is not uncommon for an individual stock to decline by 20 percent or more. A bear market does not refer to a drop of an individual stock, however. When comparing a correction vs crash, an important difference emerges. 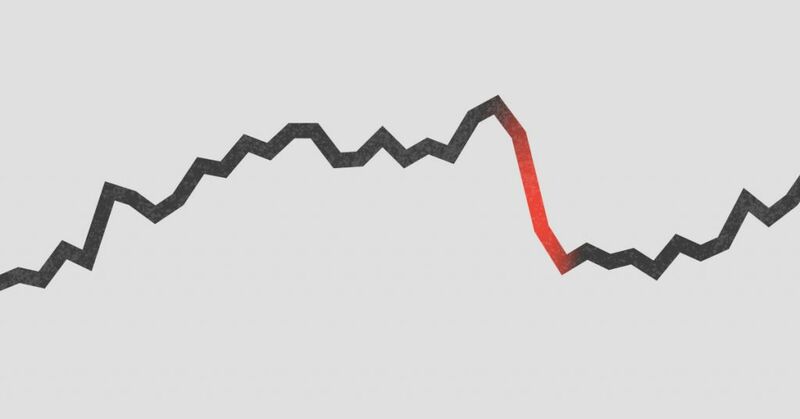 While a correction is defined by the percentage of the drop, a crash is not associated with a specific percentage of decline. A stock market crash is instead defined as a sudden, sharp drop in prices. One good example of a stock market crash is Black Monday in 1987. That crash spread around the world, affecting stock markets in Hong Kong, Europe, and the U.S. In a single day on Oct. 19, 1987, the Dow Jones Industrial Average fell by 22.61 percent. A look at the history of stock market downturns and bearish markets over the past 31 years demonstrates that corrections happen frequently while bearish markets happen rarely. In the 31 years leading up to May 2018, the S&P 500 underwent 23 corrections or downturns. Market corrections occurred an average of once every 16 months and lasted an average of 67 days. During the same time period, only three of the corrections turned into bearish markets with declines of 20 percent or more. The three bearish markets lasted from 101 days for the shortest up to 929 days for the longest duration. An economic bubble is an over inflation of the price of an asset or sector beyond its intrinsic value. The earliest recorded example of an economic bubble was the Dutch tulip mania in 1630. Certain tulip bulbs were being traded at extremely high prices before the bubble burst, causing a crash. Two more recent examples of bubbles in the U.S. include the dot-com bubble in the late 1990s and the housing bubble in the mid-2000s. The Internet’s introduction in the 1990s led to many speculative investments, which eventually led the NASDAQ bubble to burst. Some investors then turned to real estate. Between 1996 and 2006, real estate prices almost doubled, and 66 percent of the increase occurred in the period from 2002 to 2006. When the housing bubble burst, it led to the great recession during the 2000s. What causes bearish markets, economic bubbles, and crashes? An economic bubble often results from frenzied purchasing of stocks in an overvalued sector. Investors engage in too much speculation, driving prices up beyond the actual values of the assets. This can lead to a bubble that bursts. When a bubble bursts, it can lead to a crash in which prices dramatically decline in a day. Unless the market stabilizes, a crash can lead to a bearish market, which is a period of declined stock values and pessimism about the economy. The first step in how to handle a market downturn is to recognize that stock market downturns and market corrections are a normal part of investing. Some people sell when prices fall because of loss aversion and buy when prices increase because of greed. However, this is usually the wrong approach to investing during a downturn. Stock market downturns, corrections, and even bear markets do not last forever. Eventually, the stock market will rebound. The amount of time that you invest in the market matters more than the timing of your investments. When there is a downturn, take a deep breath and avoid engaging in panicked selling. When you are investing during a downturn, you should begin by keeping your fears under control. You can also add more weight to safer investments in your portfolio, including CDs and Treasury bills with short maturities. Diversification of your portfolio is important. Your portfolio should include a mixture of bonds, stocks, alternative assets, and cash. The way in which you decide to divide up your investment pie will depend on the time that you have to invest, your risk tolerance, and your financial goals. Savvy investors may be able to profit from downturns. During dips, some people choose to buy, recognizing that the prices are likely to rebound and lead to gains. Having automatic transfers into your investment account can help you to avoid overreacting. 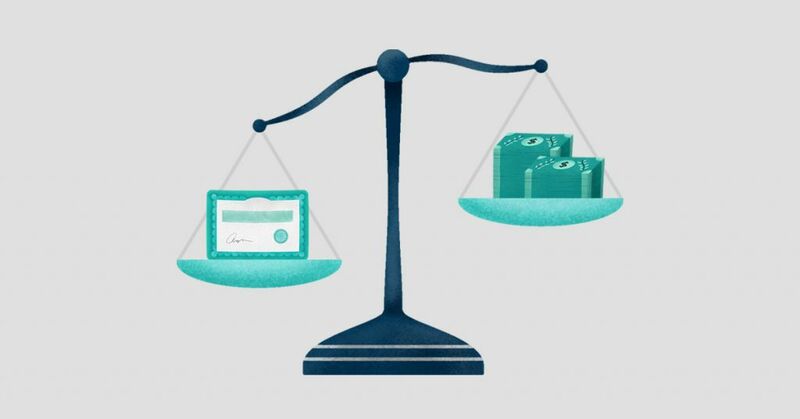 If you also have automatic rebalancing, the parts of your portfolio that have declined can be given less weight. Some investors benefit during downturns by investing in some short ETFs. These go up when prices decline. You have to be careful when purchasing short ETFs because they can either help you to reap substantial gains or to lead you to go bust. While downturns can seem scary, taking a deep breath and realizing that they will come to an end can be key to your overall investment strategy in the long-term. M1 Finance is an investment platform that allows investors automatically invest in a custom portfolio for free. Often described as a brokerage, robo-advisor hybdrid, M1 makes investing easier than ever so good financial habits can be effortless. Investors are able to choose their own investments or choose from nearly 100 expert picks to build their portfolios. 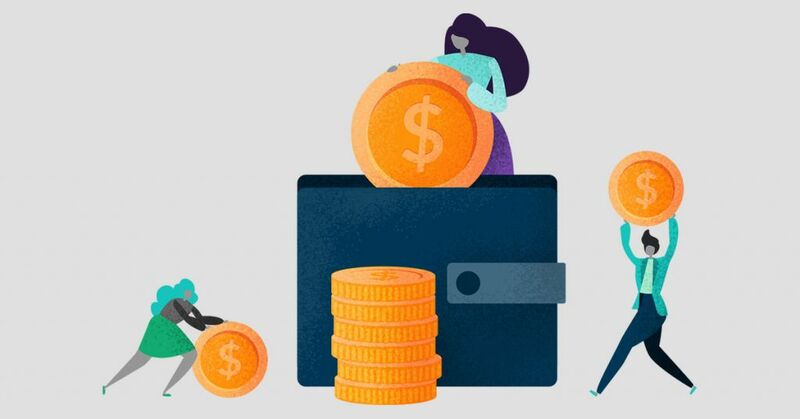 From there, simply deposit money and the platform uses intelligent automation to invest it in you portfolio according to the investments you’ve chosen. From there, the platform utilizes dynamic rebalancing and automatic dividend reinvestment to keep your portfolio on track for you. M1 Finance has been recognized in national publications for its unique take on investing and lack of commissions and management fees. 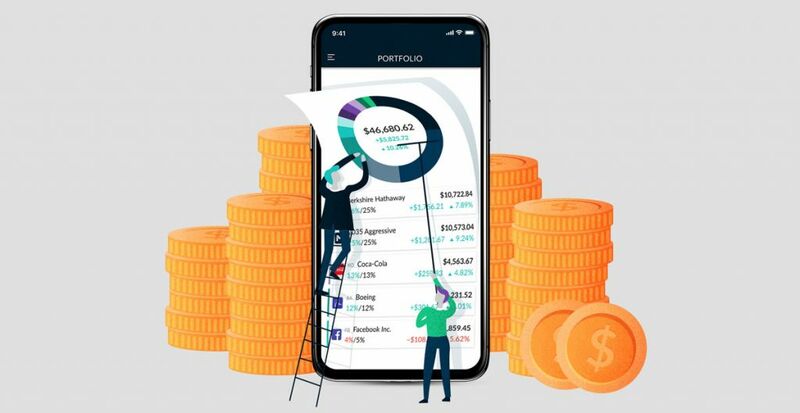 Forbes characterized M1 Finance as one of the top investment apps and financial sites in the U.S. To learn more or to get started investing now, fill out our form or call us at 888-714-6674. Download the M1 app and log in for the best experience on your mobile device. M1 Spend checking accounts furnished by Lincoln Savings Bank, Member FDIC. M1 VisaTM Debit Card issued by Lincoln Savings Bank, Member FDIC, pursuant to a license from Visa U.S.A., and serviced by M1 Spend LLC. M1 Spend LLC is not a bank. Visa is a registered trademark of Visa International Service Association. No minimum balance to open account. No minimum balance to obtain APY (annual percentage yield). APY valid from account opening. Fees may reduce earnings. Rates may vary.